Two votes over the minimum threshold in the Verkhovna Rada have allowed the deputies strip Opposition Bloc’s MP Vadym Novinsky of his parliamentary immunity. But it would be much better if legislators did not delay with restricting immunity for all deputies. On Thursday, December 8, the fans of parliamentary battles were watching with high interest what what was happening in the Rada session hall - the parliament was depriving MP Vadym Novinsky (OP) of his parliamentary immunity. Despite the fact that rumors had it there were not enough votes to pass the motion, despite the fact that the regulation committee speculated on the " sufficiency of the evidence" provided by the PGO, and despite the fact that the "allies" who wanted to strip Mr Novinsky of this privilege voted way too irresponsibly, yet there were enough votes recorded, which was 228 with the required minimum of 226. Even without reference to the very case and MP, the situation is showing because it makes obvious, how this "untouchable" system works and why a person with a mandate is far more difficult to prosecute for violating the law than any of their voters. In fact, the algorithm of lifting the immunity and, if necessary, obtaining permission for the arrest and detention of any MP, is quite simple. The first step is the prosecutor general or the acting prosecutor general (such clause emerged in 2014, when during a certain period after the escape of Viktor Pshonka, the position of prosecutor general remained vacant, and Oleh Makhnitsky was an acting head of the PGO) submits to the Verkhovna Rada a corresponding application on a certain MP, explaining why the people's choice should be deprived of immunity. In addition, the PG in parallel lines may submit another request - on the legislator’s detention and arrest, once again substantiating this application. Then the Parliament speaker forwards these documents to the relevant committee of the Verkhovna Rada. After that, the Committee should consider it in three weeks and prepare its legal position to present to the parliament as well as its conclusions on whether to support the motion, reject it or allow the Rada to decide on the matter on its own. It should be noted that in this matter the committee's decision is not a peremptory norm. That is, the deputies may vote as they wish and not necessarily follow the recommendations of the Committee. Thirdly, having heard the positions of the prosecutor's office and the subject of the application, the Committee puts the issue to a general vote in the session hall. After a positive vote, a draft resolution to authorize immunity lifting has to be signed by the speaker of parliament, and from that moment the subject’s parliamentary immunity shall be considered lifted. If the prosecutor general filed another request, on the detention and arrest of the parliamentarian, and the deputies also supported it, then the MP can be detained even as he is leaving the session hall. It would seem, nothing is complicated here. But, as practice shows, the Verkhovna Rada Regulations Committee responsible for these issues is always ready to delay decision-making for as long as the law allows. "They always have the ability to delay the procedure. The Rada regulations have a sufficient number of provisions to allow the criminal with the mandate to finish up and flee from Ukraine," says ex-MP, a political scientist Taras Chornovil. On the other hand, an attempt by the Rada Committee to postpone the Novinsky issue by suggesting that "the prosecutor general has not confirmed the existence of sufficient evidence of the involvement of the deputy in the commission of criminal offenses that he was charged with" was nothing more than manipulation. The fact it’s the untouchable status of MPs that does not allow the investigation agencies to collect any evidence against deputies, for example, conduct searches, until the Verkhovna Rada does not deprive them of parliamentary immunity. The Committee delayed consideration of the Novinsky case - "fighting" for the "evidence" has lasted since mid-November. "The Regulations Committee of the Verkhovna Rada is not competent in this matter,” says Taras Chornovil. “This needs to be changed. Perhaps the issues of immunity should be dealt with by the Committee on Legal Policy and Justice." Secondly, for the consideration of a prosecutor's application, it is necessary to invite the defendant at the committee meeting as well. At the same time, if the defendant fails to come, the meeting can be postponed. By the way, the MP could escape at any time. That is, even after the vote for lifting the immunity, if there was no parallel vote for their arrest and detention. Novinsky, however, vows not to repeat the "voyages" of Serhiy Klyuyev and Oleksandr Onyshchenko. "I will not give anyone an opportunity for schadenfreude," he says. According to Director of Berta Communications strategic consulting company, a political scientist Taras Berezovets, "after Onyshchenko and Novinsky now it’s time to radically restrict parliamentary immunity": "It cannot be extended to the most serious crimes against the person and the state - murder, kidnapping, corruption, treason... Preservation of parliamentary immunity in its present form is unacceptable." After all, every time the Parliament is faced with the need to strip some deputy of parliamentary immunity, the process turns into a whole epic of loud statements, mutual accusations, committee scandals, petty blackmail with defendants demonstrating their self-importance, expressed via some compromising material on fellow politicians. Quite often, the deputies resort to complain about political persecution when they are suspected of purely criminal activity. In this regard, it would be nice if the deputies, who have for many years been pledging to limit their exclusive immunity, remembered one particular, and very interesting, bill No.5487. According to the authors of the bill (People's Deputies from Samopomich faction), its adoption will reduce social tension "generated by the practical impossibility to bring a people's deputy to criminal responsibility". "At the same time, the adoption of the document eliminates corruption risks arising in connection with the consideration by a regulations committee of a submission on lifting parliamentary immunity," they say. But this only in general terms. Details are even more interesting. For example, the bill provides for a substantial reduction in the procedure of the PGO application’s passing through all parliament stages. In particular, the decision of the committee is reduced to formality - the final decision is taken in the session hall anyway. Besides, to prevent MPs from fleeing abroad, the bill proposes to "introduce exit restrictions for such people's deputies, pending consideration by the Verkhovna Rada of a corresponding application regarding them." 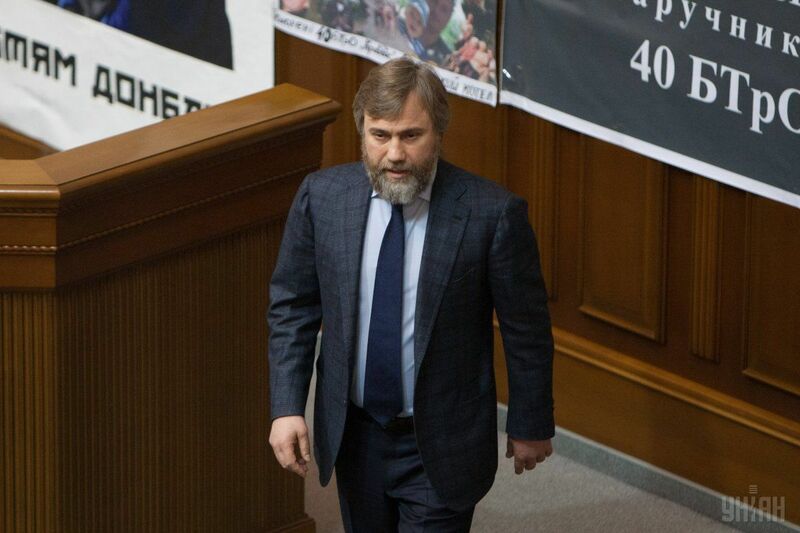 "Personally, I advocate the restriction of parliamentary immunity,” said MP from the Radical Party Ihor Mosiychuk, who a year ago was stripped of immunity by the Rada with procedural violations, including, without consideration of the issue by the committee and without hearing the explanation of the MP, giving rise to an appeal which Mr Mosiychuk won. “If we remove the immunity with regard to criminal prosecution, the law enforcement agencies will be able to collect evidence. Now law enforcers have their hands tied in this issue because they can’t do surveillance and they can’t carry out searches... And in terms of granting consent to the detention and arrest, it would be nice to allow the court to determine the measure of restraint not connected with detention, only blocking foreign travels ..."
It may not be the best version of the bill restricting parliamentary immunity. Perhaps opponents of depriving themselves of immunity will either try to adjust document, softening its norms to the maximum, or register a similar bill I order to collect enough votes for it, by hook or by crook. But it is unlikely that the issue of parliamentary immunity will soon be back-shelved. Especially, if the public once again gets disappointed that some of those "for whom the bell tolls" manages to escape from the country.